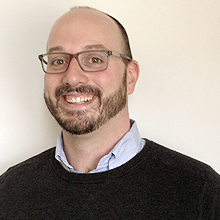 Joining the UBRI Team in 2017, Jason has taken the lead on UBRI’s Clean Energy Communities initiative, which supports local municipalities to implement clean energy actions, save energy costs, and improve environmental stewardship in Western New York. Jason holds a Bachelor’s Degree in Urban Planning with a Minor in Geography from the State University at New York College at Buffalo, where he was recognized by the American Planning Association in 2012. After receiving his degree, Jason led PUSH Buffalo’s energy efficiency and clean energy initiative, PUSH Green. This allowed him to address housing issues in one of Buffalo’s most economically distressed neighborhoods. Under Jason’s leadership PUSH Green expanded offerings beyond energy efficiency to include comprehensive home repair programs, Main Streets opportunities for small business, and a program to help residents access low cost solar installations. Prior to his pursuit of a Degree in Urban Planning, Jason had a decade-long career with a multi-national Fortune 500 company working in the sales and customer service field. Other related certifications include Building Performance Institute’s (BPI) Building Professional Certification, Core Competencies for Community Health Workers, and Organizing for Social Change from the MidWest Academy. This entry was posted on May 4, 2017 .